One of the first musicals that Kim Barger ever saw was Cats. She was about six years old at the time, and while she doesn’t remember much about her first time seeing the show, there are two things that she distinctly remembers. The first is that “Mr. Mistoffolees” was her favorite song, and the second is that during intermission Old Deuteronomy stayed on stage to sign Playbills. Kim can vividly remember her hesitation as her mother gently nudged her out of her seat and told her to take her Playbill up on stage and hand it to the big cat sitting in the chair on the stage. She was nervous as heck and had no idea why her mom was telling her to do this crazy thing. But despite her hesitation, she listened to her mom and now has a signed Playbill and an incredible memory to go along with it. Ever since her Cats experience, Kim has been a loyal audience member in theatres on Broadway, off-Broadway, and in her local community. Over the years, she has learned that theatre is more than just a show; it’s an experience. From her experience on stage at Cats, to buying a drink from a cast member of Once on stage, to her stage door interactions, Kim has found that audiences love these experiences almost as much as the show itself (and sometimes more!). Today, Kim wants to create these kinds of experiences for other people. As the creator of Row L Seat 1, Kim’s goal is to develop original musicals that not only appeal to today’s audiences but also create personal connections to the shows themselves. In addition to writing for the theatre, she has over 15 years of experience in marketing and publicity, and her lifelong love and appreciation of musicals gives her a unique perspective from the audience point of view, allowing her to hone in on what modern audiences really connect with. Kim has served as a book writer, production manager, and producer of various projects. She is also an alumnus of the Commercial Theater Institute’s producing intensive, where she gained valuable insights from producers such as David Stone (Wicked, Next to Normal, If/Then) and Kevin McCollum (Motown, Avenue Q, Rent). In her spare time you can usually find her in a theatre somewhere in central PA or on the train to NYC. She loves spending time with her family and enjoys sharing her love of theatre with her husband and two sons. To connect with Kim, please email her at kim@rowLseat1.com. 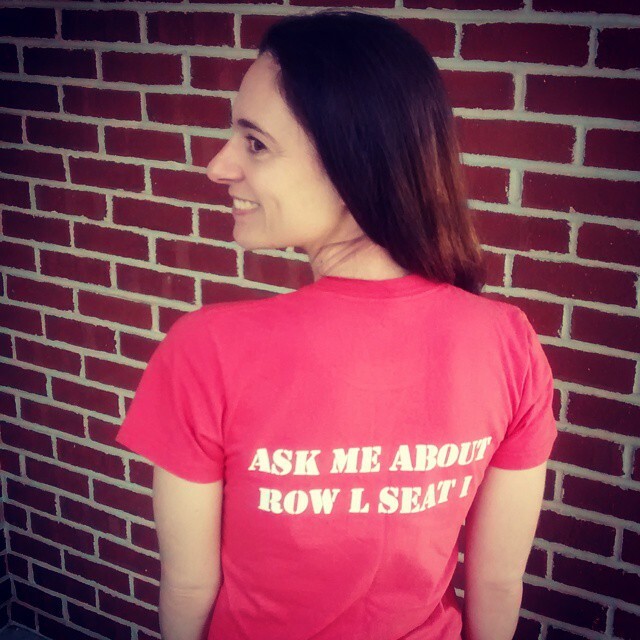 To learn a little bit more about Row L Seat 1 Productions, please read about What We Do.